Israeli Prime Minister Benjamin Netanyahu described cooperation with Greece and Cyprus, under the supervision and encouragement of the US, as the best and strongest regional association in the world. He made his comment following a summit he hosted in Jerusalem on Thursday with Cypriot President Nicos Anastasiades, Greek Prime Minister Alexis Tsipras and US Secretary of State Mike Pompeo. “We are planning to lay down a pipeline called the East-Med Pipeline, from Israel, through Cyprus, through Greece, to Europe, something that will benefit our economies greatly, provide stability for the region and prosperity to our peoples, but also we think would diversify the energy supplies to Europe,” said Netanyahu. A source close to Israeli PM said that the summit unveiled a leap in military cooperation among the three countries, to the extent of establishing a joint supervision body in the Mediterranean Sea to protect gas wells. “Revisionist powers, like Iran and Russia and China, are all trying to take major footholds in the East and the West. We view the United States, Israel, Cyprus and Greece as great key partners in security and prosperity,” said Pompeo. In 2015, Israel participated in wide-range military exercises in Greece, including a training against a Russian-supplied S-300 anti-missile system. European countries signed with Israel in 2017 the joint declaration to enhance the work aimed at extending the sea line to transport Israeli gas to Europe within the next eight years. The 2,000-kilometer underwater pipeline is intended to have a capacity of 12 billion cubic meters of gas annually. The project includes the construction of a 1,300 km long submarine pipeline from the East Mediterranean gas field to southern Greece, as well as a 600 km long pipeline to western Greece, linking existing pipelines to transport gas to Italy and other EU countries. Introduction Spain’s powerful world empire of the 16th and 17th centuries ultimately yielded command of the seas to England. Subsequent failure to embrace the mercantile and industrial revolutions caused the country to fall behind Britain, France, and Germany in economic and political power. Spain remained neutral in World Wars I and II but suffered through a devastating civil war (1936-39). A peaceful transition to democracy following the death of dictator Francisco FRANCO in 1975, and rapid economic modernization (Spain joined the EU in 1986) have given Spain one of the most dynamic economies in Europe and made it a global champion of freedom. Continuing challenges include Basque Fatherland and Liberty (ETA) terrorism, illegal immigration, and slowing economic growth. History After a long and hard conquest, the Iberian Peninsula became a region of the Roman Empire known as Hispania. During the early Middle Ages it came under Germanic rule. Later it was conquered by Muslim invaders. Through a very long and fitful process, the Christian kingdoms in the north gradually rolled back Muslim rule, finally extinguishing its last remnant in Granada in 1492, the same year Columbus reached the Americas. A global empire began. Spain became the strongest kingdom in Europe and the leading world power during the 16th century and first half of the 17th century; but continued wars and other problems eventually led to a diminished status. The French invasion of Spain in the early 19th century led to chaos; triggering independence movements that tore apart most of the empire and left the country politically unstable. In the 20th century it suffered a devastating civil war and came under the rule of an authoritarian government, leading to years of stagnation, but finishing in an impressive economic surge. Democracy was restored in 1978 in the form of a parliamentry constitutional monarchy. In 1986, Spain joined the European Union; experiencing a cultural renaissance and steady economic growth. The base Celt and Iberian population remained in various stages of Romanisation, and local leaders were admitted into the Roman aristocratic class. [note 8] Hispania served as a granary for the Roman market, and its harbors exported gold, wool, olive oil, and wine. Agricultural production increased with the introduction of irrigation projects, some of which remain in use. Emperors Trajan, Theodosius I, and the philosopher Seneca were born in Hispania.Christianity was introduced into Hispania in the 1st century CE and it became popular in the cities in the 2nd century CE. Most of Spain’s present languages and religion, and the basis of its laws, originate from this period. Rome’s loss of jurisdiction in Hispania began in 409, when the Germanic Suevi and Vandals, together with the Sarmatian Alans crossed the Rhine and ravaged Gaul until the Visigoths drove them into Iberia that same year. The Suevi established a kingdom in what is today modern Galicia and northern Portugal. The Alans’ allies, the Hasdingi Vandals, established a kingdom in Gallaecia, too, occupying largely the same region but extending further south to the Duero river. The Silingi Vandals occupied the region that still bears a form of their name – Vandalusia, modern Andalusia, in Spain. In the 8th century, several areas of the Iberian Peninsula were conquered (711-718) by mainly Muslims (see Moors) from North Africa. These conquests were part of the expansion of the Umayyad Islamic Empire. [note 10] Only a number of areas in the north of the Iberian Peninsula managed to resist the initial invasion, occupying areas roughly corresponding to modern Asturias, Navarre and northern Aragon. Under Islam, Christians and Jews were recognised as “peoples of the book”, and were free to practice their religion, but faced a number of mandatory discriminations and penalties as dhimmis. Conversion to Islam proceeded at a steadily increasing pace. Following the mass conversions in the 10th and 11th centuries it is believed that Muslims came to outnumber Christians in the remaining Muslim controlled areas. The Muslim community in the Iberian peninsula was itself diverse and beset by social tensions. The Berber people of North Africa, who had provided the bulk of the invading armies, clashed with the Arab leadership from the Middle East. Over time, large Moorish populations became established, especially in the Guadalquivir River valley, the coastal plain of Valencia, and (towards the end of this period) in the mountainous region of Granada. Córdoba, the capital of the caliphate, was the largest, richest and most sophisticated city of medieval western Europe. Mediterranean trade and cultural exchange flourished. Muslims imported a rich intellectual tradition from the Middle East and North Africa. Muslim and Jewish scholars played a great part in reviving and expanding classical Greek learning in Western Europe. The Romanized cultures of the Iberian peninsula interacted with Muslim and Jewish cultures in complex ways, thus giving the region a distinctive culture. Outside the cities, where the vast majority lived, the land ownership system from Roman times remained largely intact as Muslim leaders rarely dispossessed landowners, and the introduction of new crops and techniques led to a remarkable expansion of agriculture. Given the honored title by the Pope, Catholic MonarchsFerdinand and Isabella, were probably one of the most powerful and accomplished couples in history; they reinforced the Reconquista, founded the Spanish Inquisition, and sponsered Christopher Columbus during the discovery of the New World. The Reconquista (“Reconquest”) is the centuries-long period of expansion of Spain’s Christian kingdoms; Reconquista is viewed as beginning with the battle of Covadonga in 722 and being concurrent with the period of Muslim rule on the Iberian peninsula. The Christian army’s victory over the Muslim forces led to the creation of the Christian Kingdom of Asturias along the northern coastal mountains. Muslim armies had also moved north of the Pyrenees, but they were defeated at the Battle of Poitiers in France. Subsequently, they retreated to more secure positions south of the Pyrenees with a frontier marked by the Ebro and Duero rivers in Spain. As early as 739 Muslim forces were driven from Galicia, which was to host one of medieval Europe’s holiest sites, Santiago de Compostela. A little later Frankish forces established Christian counties south of the Pyrenees; these areas were to grow into kingdoms, in the north-east and the western part of the Pyrenees. These territories included Navarre, Aragon and Catalonia. The breakup of Al-Andalus into the competing Taifa kingdoms helped the expanding Christian kingdoms. The capture of the central city of Toledo in 1085 largely completed the reconquest of the northern half of Spain. After a Muslim resurgence in the 12th century, the great Moorish strongholds in the south fell to Christian Spain in the 13th century—Córdoba in 1236 and Seville in 1248—leaving only the Muslim enclave of Granada as a tributary state in the south. Marinid invasions from north Africa in the 13th and 14th centuries failed to re-establish Muslim rule. Also in the 13th century, the kingdom of Aragon, formed by Aragon, Catalonia and Valencia expanded its reach across the Mediterranean to Sicily. Around this time the universities of Palencia (1212/1263) and Salamanca (1218/1254) were established; among the earliest in Europe. The Black Death of 1348 and 1349 devastated Spain. In 1469, the crowns of the Christian kingdoms of Castile and Aragon were united by the marriage of Isabella and Ferdinand. In 1478 began the final stage of the conquest of Canary Islands and in 1492, these united kingdoms captured Granada, ending the last remnant of a 781-year presence of Islamic rule in Iberia. The Treaty of Granada guaranteed religious tolerance toward Muslims. The year 1492 also marked the arrival in the New World of Christopher Columbus, during a voyage funded by Isabella. That same year, Spain’s Jews were ordered to convert to Catholicism or face expulsion from Spanish territories during the Spanish Inquisition. Not long after, Muslims were also expelled under the same conditions. As Renaissance New Monarchs, Isabella and Ferdinand centralized royal power at the expense of local nobility, and the word España – whose root is the ancient name Hispania – began to be used commonly to designate the whole of the two kingdoms. With their wide-ranging political, legal, religious and military reforms, Spain emerged as the first world power. The unification of the kingdoms of Aragon, Castile, León, and Navarre laid the basis for modern Spain and the Spanish Empire. Spain was Europe’s leading power throughout the 16th century and most of the 17th century, a position reinforced by trade and wealth from colonial possessions. Spain reached its apogee during the reigns of the first two Spanish Habsburgs – Charles I (1516–1556) and Philip II (1556–1598). This period also saw the Italian Wars, the Protestant Reformation, the Dutch revolt, the Morisco revolt, clashes with the Ottomans, the Anglo-Spanish war and wars with France. The Spanish Empire expanded to include most parts of South and Central America, Mexico, southern and western portions of today’s United States, the Philippines, Guam and the Mariana Islands in Eastern Asia, parts of northern Italy, southern Italy, Sicily, cities in Northern Africa, as well as parts of France, modern Germany, Belgium, Luxembourg, and the Netherlands. It was the first empire about which it was said that the sun never set. This was an age of discovery, with daring explorations by sea and by land, the opening-up of new trade routes across oceans, conquests and the beginnings of European colonialism. Along with the arrival of precious metals, spices, luxuries, and new agricultural plants, Spanish and other explorers brought back knowledge from the New World, playing a leading part in transforming Europeans understanding of the globe. The cultural efflorescence witnessed is now referred to as the Spanish Golden Age. The 18th century saw a gradual recovery and an increase in prosperity through much of the empire. The new Bourbon monarchy drew on the French system of modernising the administration and the economy. Enlightenment ideas began to gain ground among some of the kingdom’s elite and monarchy. Towards the end of the century trade finally began growing strongly. Military assistance for the rebellious British colonies in the American War of Independence improved Spain’s international standing. In 1793, Spain went to war against the new French Republic, which had overthrown and executed its Bourbon king, Louis XVI. The war polarised the country in an apparent reaction against the gallicised elites. Defeated in the field, Spain made peace with France in 1795 and effectively became a client state of that country; the following year, it declared war against Britain and Portugal. A disastrous economic situation, along with other factors, led to the abdication of the Spanish king in favour of Napoleon’s brother, Joseph Bonaparte. This foreign puppet monarch was widely regarded with scorn. On 2 May 1808, the people of Madrid began a nationalist uprising against the French army, one of many across the country, marking the beginning of what is known to the Spanish as the War of Independence, and to the English as the Peninsular War. Napoleon was forced to intervene personally, defeating several badly coordinated Spanish armies and forcing a British Army to retreat to Corunna. However, further military action by Spanish guerrillas and Wellington’s Anglo-Portuguese army, combined with Napoleon’s disastrous invasion of Russia, led to the ousting of the French from Spain in 1814, and the return of King Ferdinand VII. The French invasion proved disastrous for Spain’s economy, and left a deeply divided country that was prone to political instability for more than a century. The power struggles of the early 19th century led to the loss of all of Spain’s colonies in Latin America, with the exception of Cuba and Puerto Rico. Amid the instability and economic crisis that afflicted Spain in the 19th century there arose nationalist movements in the Philippines and Cuba. Wars of independence ensued in those colonies and eventually the United States became involved. Despite the commitment and ability shown by some military units, they were so mismanaged by the highest levels of command that the Spanish-American war of 1898 was soon over. “El Desastre” (The Disaster), as the war became known in Spain, helped give impetus to the Generation of 98 who were already conducting much critical analysis concerning the country. It also weakened the stability that had been established during Alfonso XII’s reign. The bitterly fought Spanish Civil War (1936-39) ensued. Three years later the Nationalist forces, led by General Francisco Franco, emerged victorious with the support of Nazi Germany and Fascist Italy. The Republican side was supported by the Soviet Union and Mexico and international brigades , most famously the american ‘Abraham Lincon Brigade’, but it was not supported officially by the Western powers due to the British-led policy of Non-Intervention. The Spanish Civil War has been called the first battle of the Second World War; under Franco, Spain was neutral in the Second World War though sympathetic to the Axis. The only legal party under Franco’s regime was the Falange española tradicionalista y de las JONS, formed in 1937; the party emphasised anti-Communism, Catholicism and nationalism. Nonetheless, since Franco’s anti-democratic ideology was opposed to the idea of political parties, the new party was renamed officially a National Movement (Movimiento Nacional) in 1949. Upon the death of General Franco in November 1975, Prince Juan Carlos assumed the position of king and head of state. With the approval of the new Spanish Constitution of 1978 and the arrival of democracy, the State devolved autonomy to the regions and created an internal organization based on autonomous communities. In the Basque Country, moderate Basque nationalism coexisted with a radical nationalism supportive of the separatist group ETA. On 30 May 1982, NATO gained a new member when, following a referendum, the newly democratic Spain joined the alliance. Also in 1982, the Spanish Socialist Workers Party (PSOE) came to power, representing the return of a left-wing government after 43 years. In 1986, Spain joined the European Community – what has now become the European Union. The PSOE was replaced in government by the Partido Popular (PP) after the latter won the 1996 General Elections; at that point the PSOE had served almost 14 consecutive years in office. The Government of Spain has been involved in a long-running campaign against the separatist and terrorist organization ETA (“Basque Homeland and Freedom”), founded in 1959 in opposition to Franco and dedicated to promoting Basque independence through violent means. They consider themselves a guerrilla organization while they are listed as a terrorist organization by both the European Union and the United States on their respective watchlists. The current nationalist-led Basque Autonomous government does not endorse ETA’s nationalist violence, which has caused over 800 deaths in the past 40 years. The Spanish nation is organizationally composed in the form of called Estado de las Autonomías (“State of Autonomies”); it is one of the most decentralized countries in Europe, along with Switzerland, Germany and Belgium; for example, all Autonomous Communities have their own elected parliaments, governments, public administrations, budgets, and resources; therefore, health and education systems among others are managed regionally, besides, the Basque Country and Navarre also manage their own public finances based on foral provisions. In Catalonia and the Basque Country, a full fledged autonomous police corps replaces some of the State police functions (see Mossos d’Esquadra and Ertzaintza). The Energy Ministry forecast Tuesday that within 12 years Israel would be fully reliant on natural gas and alternative fuels for the production of electricity and for transportation. Steinitz said he would be submitting a master plan with this vision to the government. In 2014, electricity was produced through a fifty-fifty split between coal and natural gas. The aim for 2030 is to alter that to 83% natural gas and 17% renewable energy, with “zero pollutants,” Steinitz said. Already this year, the balance of electricity production will be 71% natural gas, 25%-27% coal, and 2% renewable energy, with the economy transitioning to using coal only for emergency and backup purposes by 2030. “There is a historic opportunity to transform Israel into one of the first Western countries in which energy is produced with zero pollution and harm to the environment,” he said. Steinitz said that according to OECD data some 2,500 people die in Israel annually because of air pollution. He added that the controversial natural gas legislation passed two years ago has been a “huge success,” having enabled the development of Leviathan, Israel’s largest natural gas field, which is expected to come online next year. The one and a half-year holdup in the development of Leviathan caused by delays in passing the gas regulations cost Israel some $20 billion, he said. The development of the field allowed Israel to sign its “most significant export deals” with neighboring Egypt and Jordan since the signing of peace accords with these nations, he said. Earlier this month, the partners in the Tamar and Leviathan offshore natural gas fields said they signed deals to export 64 billion cubic meters of gas to the Egyptian firm Dolphinus over a 10-year period. In September 2016, Jordan struck a deal to buy 8.5 million cubic meters of Israeli gas per day over 15 years, a deal estimated to be worth $10 billion. Israel, a country with scarce natural resources, discovered offshore natural gas fields that may enable it to achieve energy independence and become an exporter of natural gas. The Tamar gas field was discovered in 2009 and started production in 2013, while the Leviathan field — the largest deep water natural gas field discovered in the world in the past decade — was discovered in 2010 and is expected to start production in 2019. 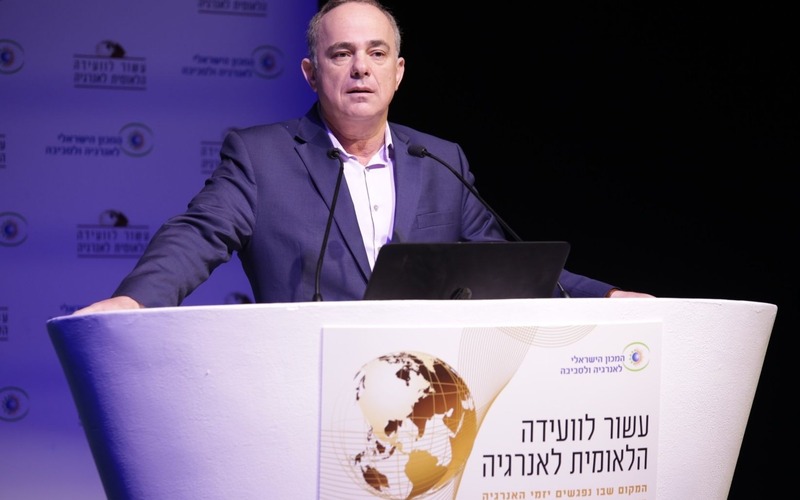 Steinitz was speaking at a conference organized by the Israel Institute for Energy and Environment that dealt with the potential of and challenges to Israel’s natural gas industry. Steinitz and other speakers were heckled by a group protesting against the planned Leviathan rig, which they say will be set up just 10 kilometers off the northern shore and will cause pollution and billions of dollars’ worth of environmental damage. 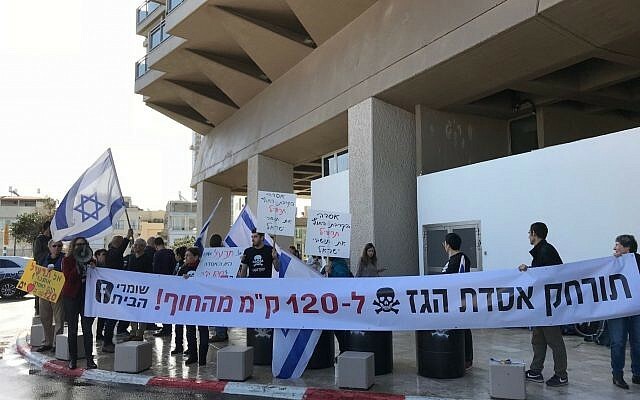 “Instead of a proposed rig, the companies should be setting up a floating production storage and offloading facility above the rig, not close to the shore of Dor Beach,” said protest head Yoni Sapir. 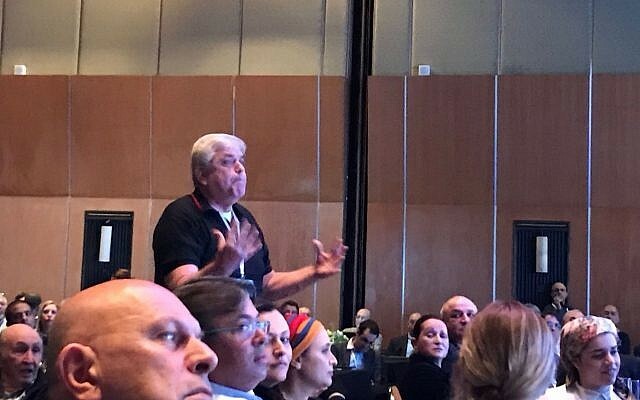 In addition, a gas-processing to be set up on land could pollute local water sources, said Eli Budman, a toxicologist who was protesting outside the hotel. Steinitz dismissed them as “not in my backyard” protesters who were ignorant of the issues. “We will not submit to pressure by anyone. We are convinced we are doing the right things for the future of Israel,” he declared. Responding to the demonstrators, Environment Minister Ze’ev Elkin said Israel cannot both cut its consumption of coal and stall development of the natural gas industry. “We can’t go in both directions,” he said. At the conference Yona Fogel, the CEO of Paz Oil Company Ltd. an oil refiner, said the price of natural gas in Israel as set by the agreement reached by government and the producers of the gas was too high. “There is a market failure here,” he said. Paz’s two plants, in Haifa and Alon Tavor, were ready to receive natural gas but “the gap between implementation and desire” was very high, he said. Mathios Rigas, CEO of Energean Oil & Gas, a Greek oil and gas explorer that won the license to develop and operate the smaller Karish and Tanin offshore natural gas fields — which are estimated to have reserves of 2 trillion cubic feet (TCF) and are earmarked to supply fuel to Israel and compete with Tamar and Leviathan — said he expects drilling at the fields to start in 2019 and supply of gas to start in the first quarter of 2021. Energean will be investing some $1.6 billion in the development of the fields, he said, and has already raised the funds to manage the project, he said. 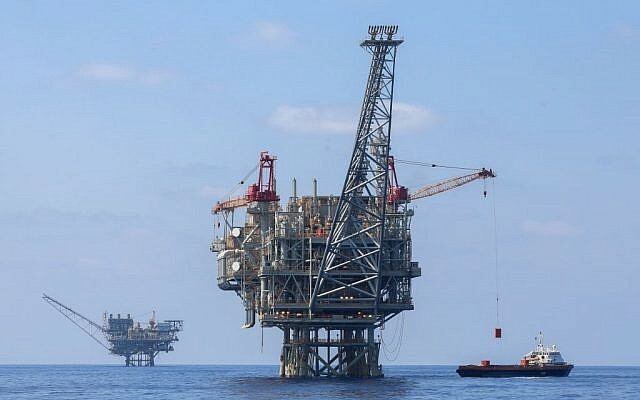 Yossi Abu, the CEO of Delek Drilling LP, a unit of Delek Group Ltd., which together with Noble Energy Inc. is a partner in the Tamar and Leviathan fields, said that he expects more deals with Egypt following the one with Dolphinus signed earlier this month. Egypt is estimated to need some 20 to 40 billion cubic meters of natural gas a year for the next decade, he said, and this presents an opportunity for Israel. The pipeline infrastructure already in place will allow Leviathan to supply gas to Egypt and Jordan when production starts in the fourth quarter of 2019, he said, and will allow Israel to be part of a regional grid connected to the two Arab countries, as opposed to the energy island it has been until now. The Moroccan Interior Ministry accused Algerian authorities of deporting 55 Syrians, including women and children, towards the kingdom as Rabat summoned the Algerian envoy over the development. The ministry statement said that the Algerian authorities have “cornered” the refugees nears the border city of Figuig. It questioned how the authorities in the neighboring country have not catered to the displaced and instead forced them towards Moroccan soil. The development has forced Morocco to summon Algeria’s ambassador to express concern after the Syrians attempted to “illegally enter” the country from Algeria, the ministry of foreign affairs said in a statement on Sunday. It said 54 Syrians attempted to enter Morocco through the border town of Figuig, an area surrounded by mountains, between April 17 and 19. It accused Algeria of forcing them to cross into Morocco. “Algeria must assume political responsibility and morality concerning this situation,” the ministry statement on MAP state news agency said. There was no immediate response from Algeria on state news agency APS. Some 5,000 Syrians have gone through a migration regulatory process in Morocco, with several hundred receiving refugee status, according to Morocco’s ministry of foreign affairs. Morocco and Algeria share a 1,500 km (970 mile) land border that runs from the Mediterranean Sea to the Sahara Desert which has been shut since 1994. The North African neighbors have had a contentious relationship since independence from France. Border disputes triggered an armed conflict in the 1960s known as the “Sand War”. One of their biggest disputes has been over Western Sahara, a former Spanish colony, most of which Morocco annexed in 1975. Algeria supports and hosts the Western Saharan independence movement Polisario, a stance which angers Morocco. Jessica SteinbergJessica Steinberg covers the Sabra scene from south to north and back to the center. There’s the Galilee, and then there’s the Western Galilee. For decades, Israelis and tourists have flocked to the towns, villages and cities surrounding the Sea of Galilee, to the tzimmer guest cabins and hotels of that northern region. But then the Western Galilee beckoned. 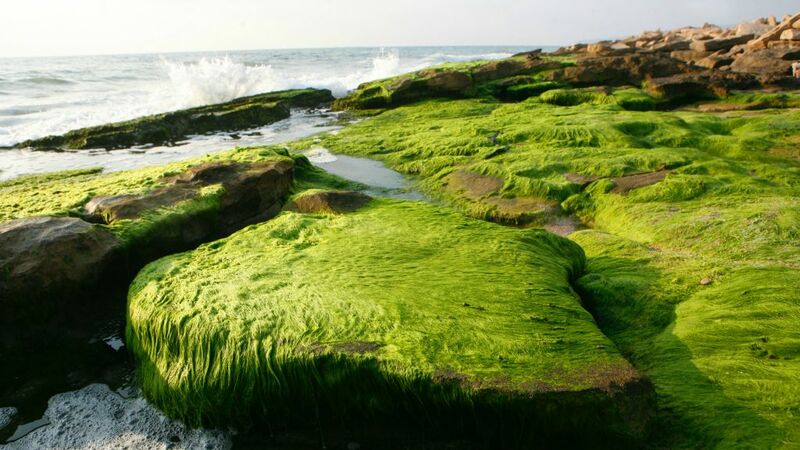 Bordered by the Mediterranean Sea, it’s anchored by the port city of Acre and the seaside town of Nahariya, with a host of small towns and moshav villages scattered around them. Like the eastern portion of the Galilee region, there are some alternative communities, like Klil, a village of ecologically-minded residents, or Mitzpe Abirim, another community of families living remote, rural lifestyles. There are wineries and cheesemakers to visit and horseback rides to take, small cabins and luxurious boutique hotel rooms for accommodation, and divine seafood meals to eat with ice cream cone palate cleansers. What’s more, there’s an air of fresh perspectives and coexistence initiatives in the Western Galilee, and that is always worth discovering. 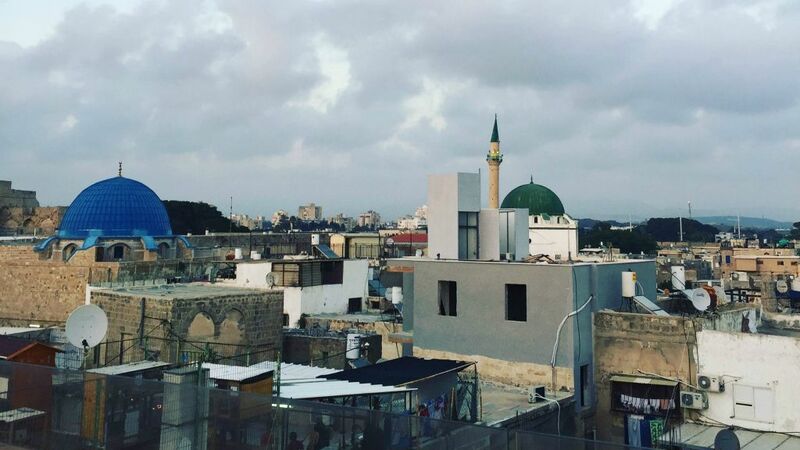 Start in Acre, the ancient port city that’s made a name for itself for its gentrification efforts over the last few years. Acre hosts annual opera and fringe theater festivals, but it’s probably better to head there during its low seasons. That’s when there’s more parking available at its seaside lots and tables aren’t hard to find at the city’s best restaurants. For archaeology and history buffs, it’s worth spending time in the underground Crusader fortress and British Mandate-period prison, but be sure to come up for air and walk around the Old City, where the revamped Turkish market has crab falafel and Israeli beer on tap at Kukushka (not kosher). Hummus connoisseurs will also want to swipe a plate of Hummus Said’s famed chickpea spread, for which Acre is renowned, with a few falafel balls on the side, or check out Turkish on Yehoshafat Street. For dessert, there’s Endomela (not kosher), the artisanal ice cream parlor owned by Uri Jeremias, the proprietor of seafood eatery Uri Buri. When it’s time to check in, there are more than a few options in and around the city. The most luxurious is boutique hotel Efendi, a stupendously restored former Ottoman palace renovated by restauranteur Jeremias, with a Byzantine-era wine cellar, Crusader period stone floors in the lobby, exquisitely restored Ottoman-era painted ceilings in the upper floor rooms and salons overlooking the sea, and a warren of winding streets and alleys of the ancient neighborhood. Rooms begin at $400 and if you do stay at the Efendi (not kosher), be sure to consider a treatment in the original, Ottoman-era hammam, where you’ll be treated to a massage on a hot, marble slab. There are other accommodation options in Acre, including a list of family-owned B&Bs, such as the Lighthouse Suite in the Old City, which has one suite with two bedrooms, a kitchenette and one bathroom.Cost per night per couple is NIS 850, including breakfast. Call 052-590-8410 for more information. There’s also Akkotel, a small family Old City hotel with rooms suitable for four people, at $290 per suite, or $200 per couple. Call 04-987-7100. For dinner, there’s always Uri Buri (not kosher), which was established by Jeremias in his hometown of Nahariya and moved to Acre’s harbor 22 years ago, helping to change the face of tourism in this ancient part of the city. Known for its unique preparation of seafood, with a focus on traditional, butter-rich dishes, it’s a dining experience that includes fresh sashimi side by side with rich seafood stews. There’s also El Babur (not kosher), owned by local chefs and brothers Husam and Nashat Abbas and located right on the water, with ancient city views. The dishes are Galilean-Arabic in flavor and style, melding locally grown greens and vegetables, with specialties like okra with sea bream or calamari-mashawshe, a local version ofmsabbaha hummus, and served with calamari heads on top, rather than chickpeas, in a nod to the seaside town. When staying at the Efendi, breakfast is a must, and it’s worth choosing the Middle Eastern option, which includes fresh Swiss chard bourekas, delicate strands of halva, creamy tahini for spreading on the fresh bread and an individual omelet. That’ll hold you for the less-than-hour-long ride to Nahariya, the next destination. Best known for its location on the sea, there are two new accommodations options in Nahariya: Sea Life is a relatively new (kosher) hotel situated on the water with a full spa for adults only and an outdoor pool during the warm months. The hotel suites and private, individual cabins are well-suited to small family groups, with inner bedrooms and open-up couches that’ll work for kids in the living room. For access to the beach, however, you’ll have to walk down the street, as the beachfront just outside the hotel is part of a nature reserve and can’t be used for swimming or playing in the sand. A few blocks away from Sea Life is the family-owned Erna Shtarkman Hotel (kosher), with the feel of a quaint historical inn now owned by Orna Shtarkman, granddaughter of the original owner. 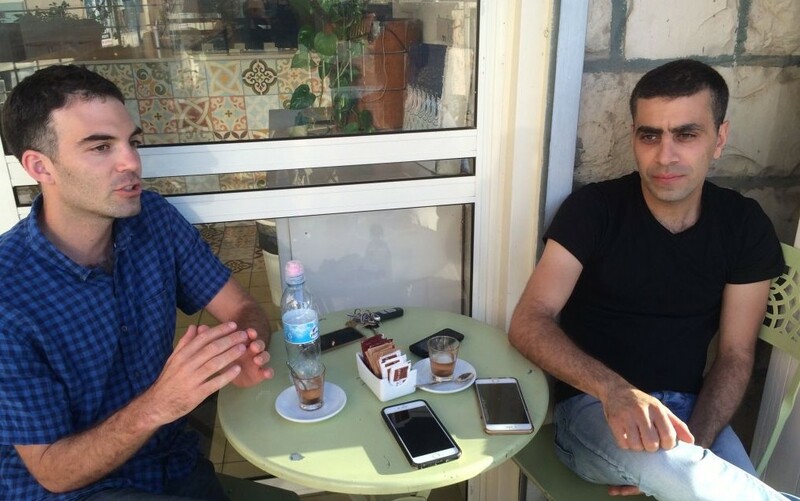 The 32-year-old Shtarkman is also the deputy mayor of Nahariya, and is determined to bring younger families and a more contemporary feel to the seaside city. Be sure to try the hotel’s homemade apple strudel with a heavy side of whipped cream, perhaps after a swim in the nearby public pool or a spin around town on one of the hotel’s complimentary bikes. For lunch, head out to Nahariya’s Brioche (kosher), owned by the Belgium-trained pastry chef Hagit Stern, who turns out savory and sweet brioches, as well as salads and delicious vegetable pies. 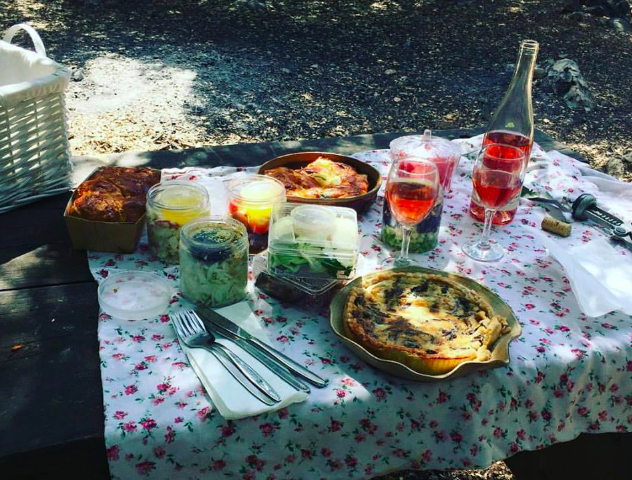 Your best bet, however, is to pick up a picnic basket loaded with Stern’s homemade goodies, as well as a bottle of local Kishor wine (kosher), made nearby at Kishorit, a community of special needs adults. Michal Shiloach, the director and guide of Western Galilee Now — one of three Western Galilee tourist initiatives, although hers has an informative tourism center in Acre’s Old City — likes to direct visitors to Park Goren, a quiet, forested area with picnic tables, and with a flowered Brioche-supplied tablecloth on the table, you’re set. Head back to the car and up Route 899 for a winding country road that will feel a bit like Switzerland or the Poconos than northern Israel. Route 899 is dotted with bucolic villages and communities, some Arab and some Jewish, and it’s a setting that has fostered coexistence for years, said residents Eyal and Edna Hefer, who moved to Mitzpe Abirim 20 years ago. The Hefers were pioneers of a different stripe, looking for a rural place to live where they could raise horses and goats. 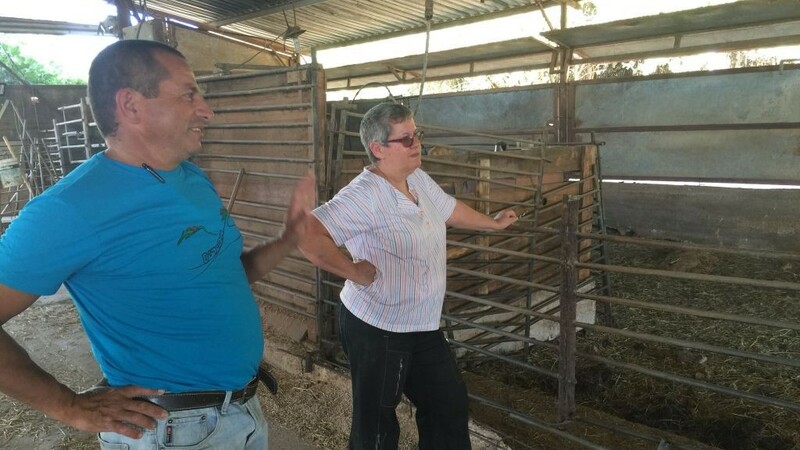 Eyal Hefer commuted for 10 years to Tel Aviv, working in a national youth movement while Edna tended their herd of 100 goats. She learned how to make cheese but mostly supplied the milk to nearby dairy Strauss. More than a decade ago, Eyal Hefer quit his job in Tel Aviv and they both now work full-time on their spread, which now includes two tzimmer cabins for rent (breakfast included), tending their forested campsite that can fit up to 200, with separate areas for showers, cooking, eating and sitting around a campfire. They also offer regular and therapeutic horseback riding, and an outside corner of the house is devoted to the goat cheese selection where customers can choose a hunk of Edna’s salty, black-seededtzafatit or mild Camembert (not certified kosher) and leave the money in the box on the table. Head back to Nahariya for the night, with dinner and dessert on the way. The town of Maalot-Tarshiha has always been an easy place to see coexistence at work, as Jews and Arabs live in side-by-side villages, mostly peacefully and without rancor. That state of affairs is perhaps best viewed at the flagship shop of Buza, the ice cream parlor opened by entrepreneurs Adam Ziv and Alaa Sweetat. Ziv, a kibbutznik from the region, had apprenticed in several gelato shops while traveling around Europe and came home seeking a partner. He found it in Sweetat, who learned the food and restaurant business while working his way up at bistro Aluma, the gourmet Galilean restaurant (not kosher) in Tarshiha that he now owns. The two created Buza (not kosher), which means ice cream in Arabic. The gelato flavors are decidedly Galilean in taste, with an emphasis on nuts and fresh fruits. 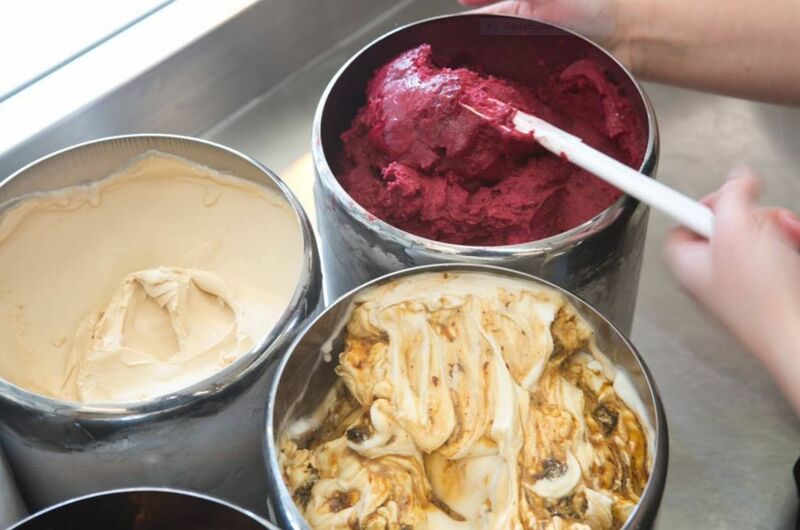 More than that, it’s an experience in coexistence, where staff and customers are mixed, particularly in the Tarshiha branch, although there are four total, including one in Tel Aviv and another in Ziv’s hometown of Kibbutz Sasa, where customers can sign up for ice cream workshops. It’s a sweet ending to a northern adventure.